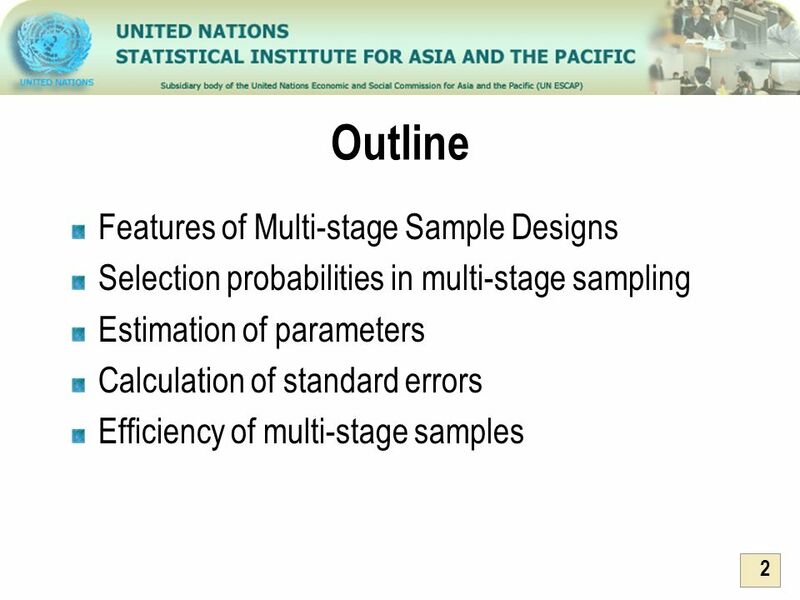 First-stage sampling units are called primary sampling units or PSUs. 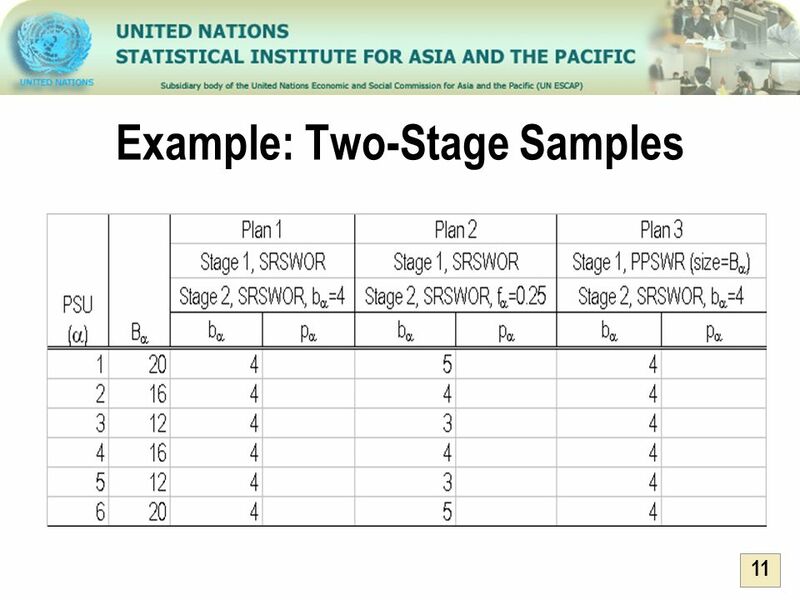 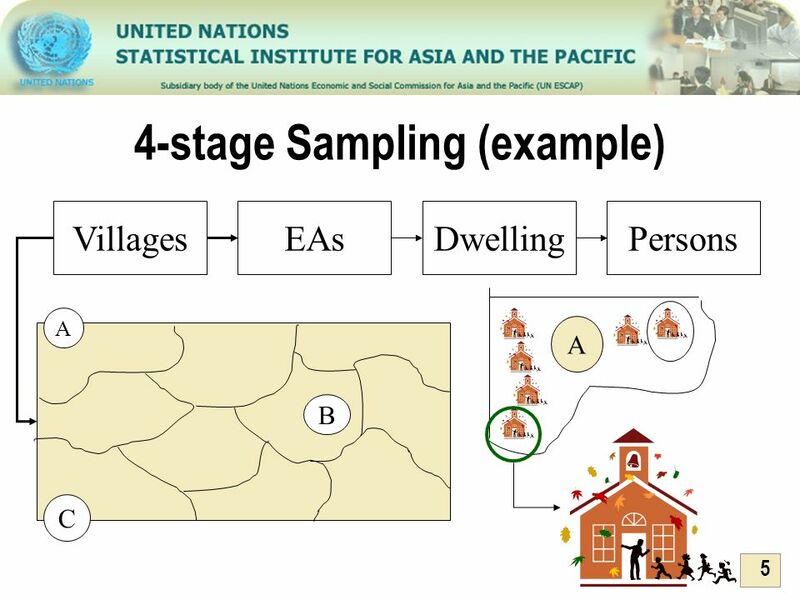 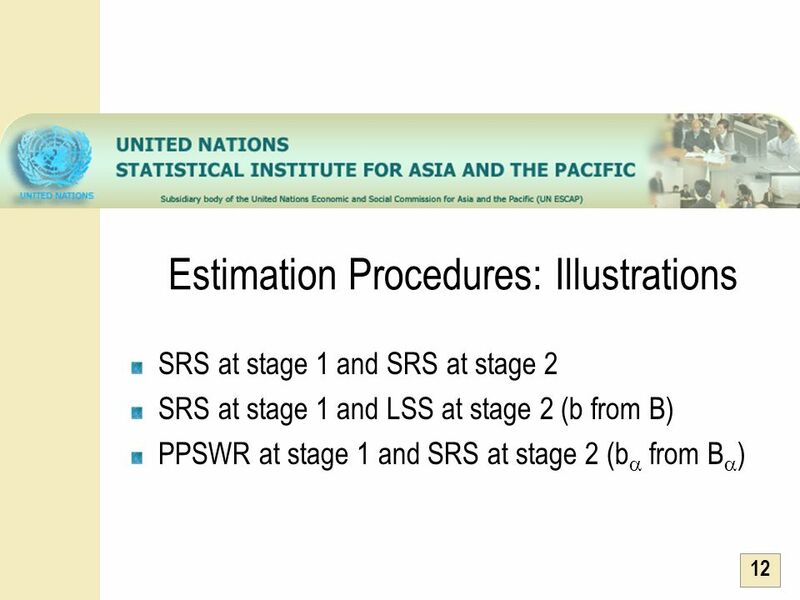 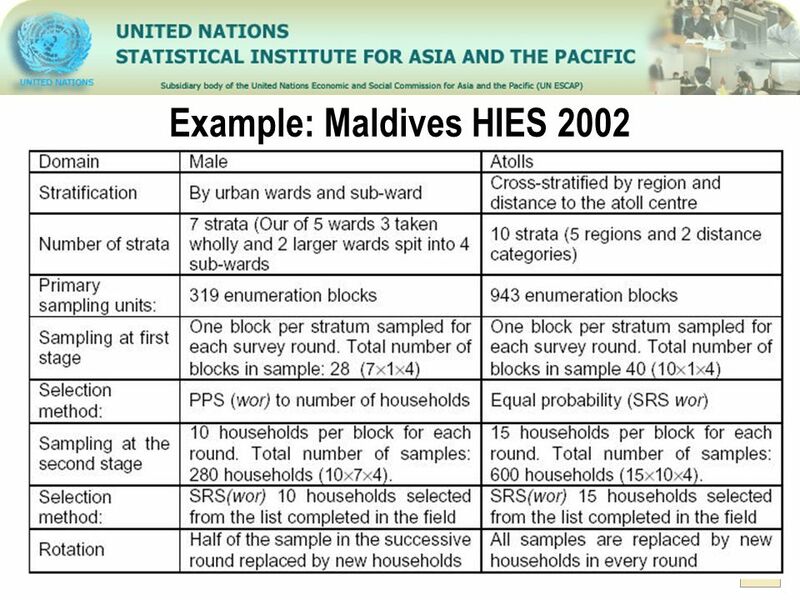 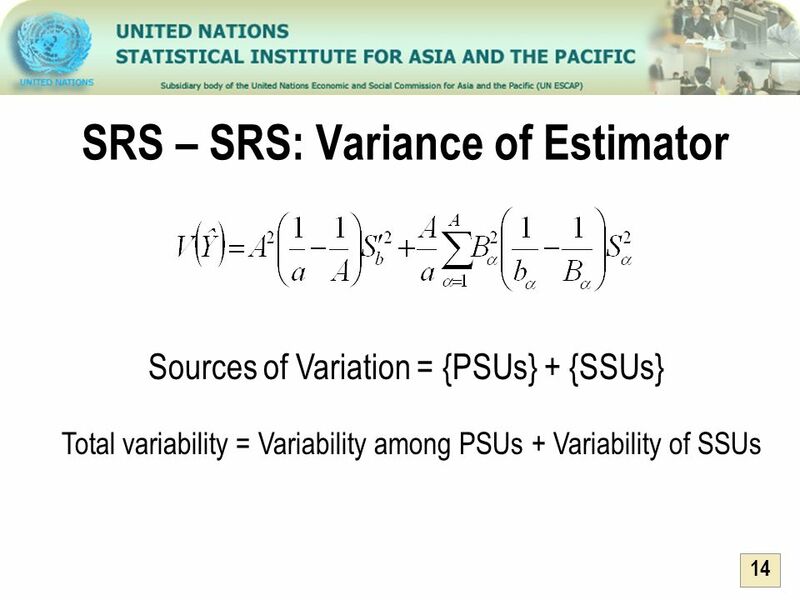 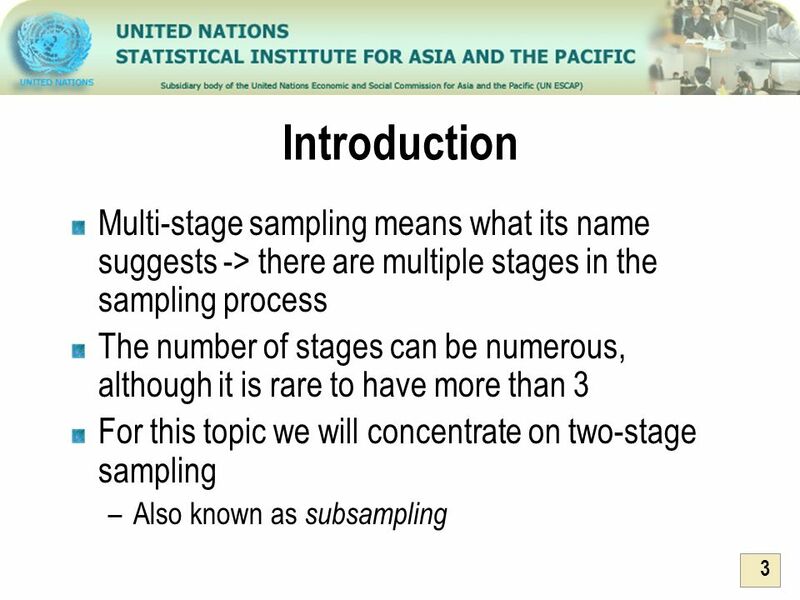 Second-stage sampling units are called secondary sampling units or SSUs. 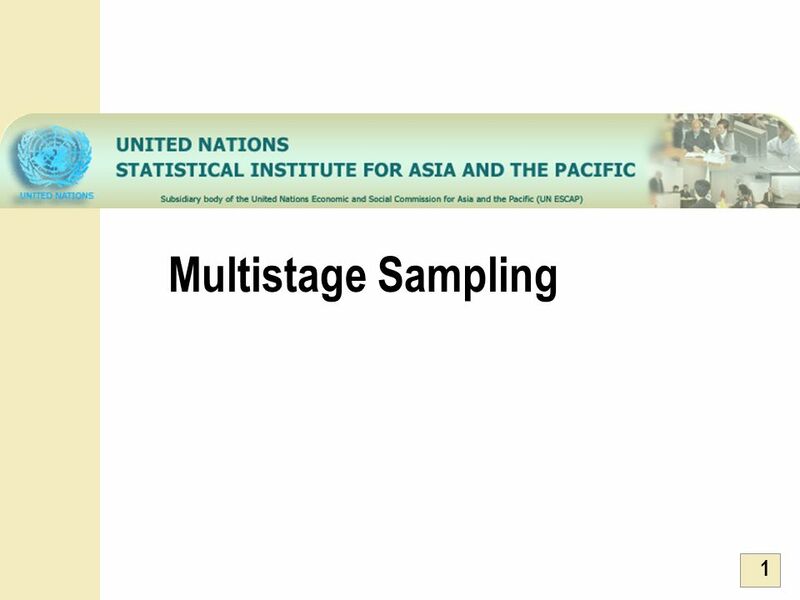 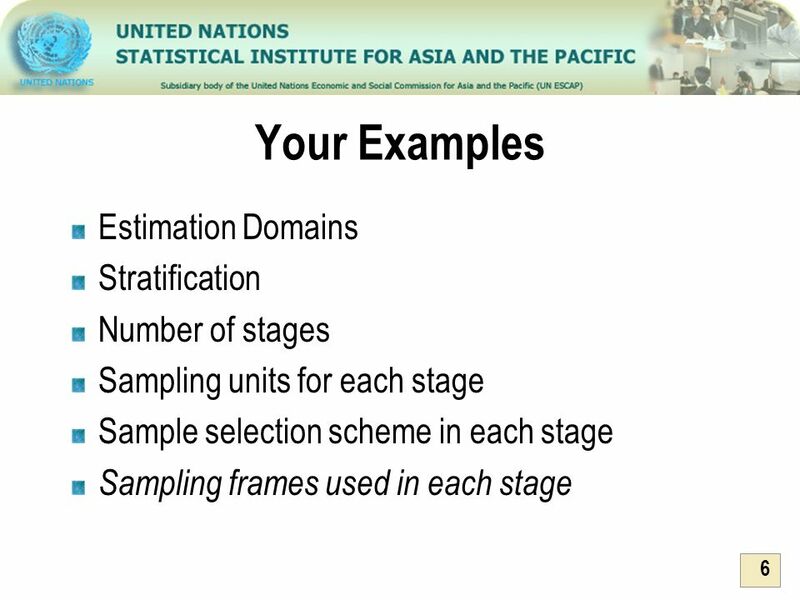 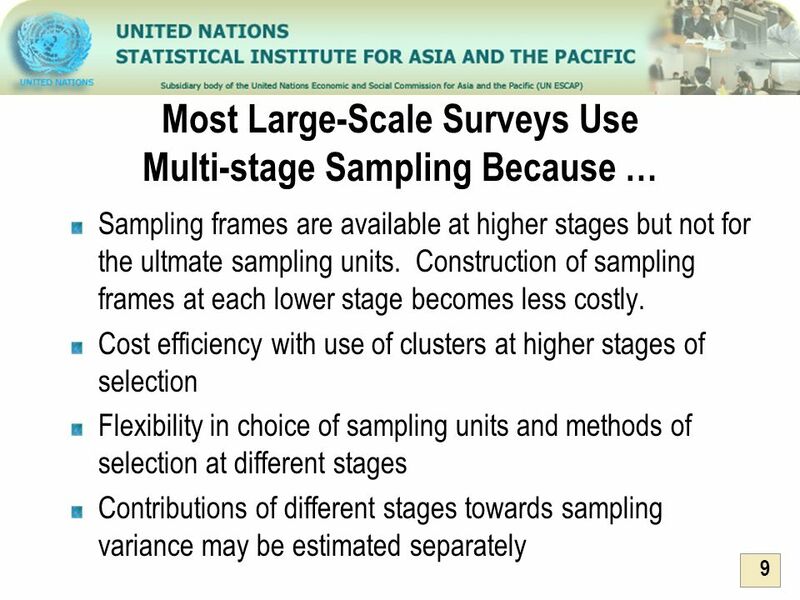 Last-stage sampling units are called ultimate sampling units or USUs. 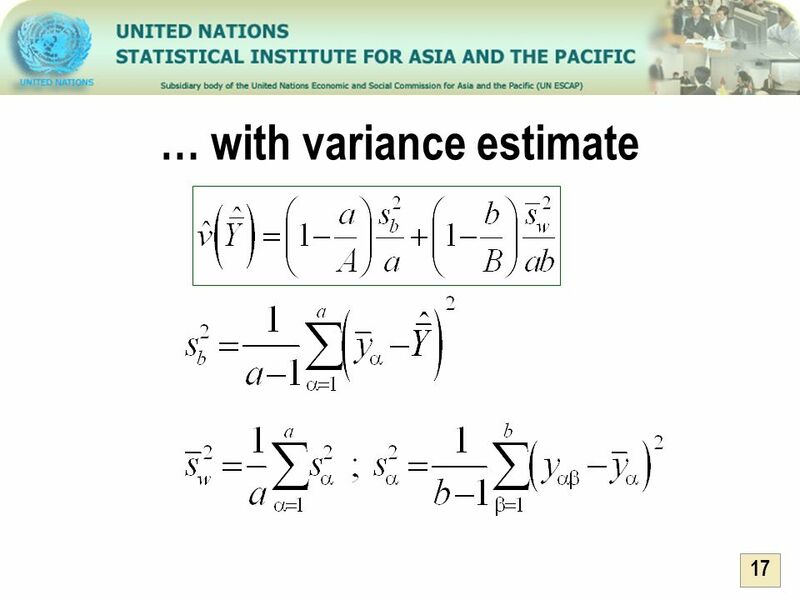 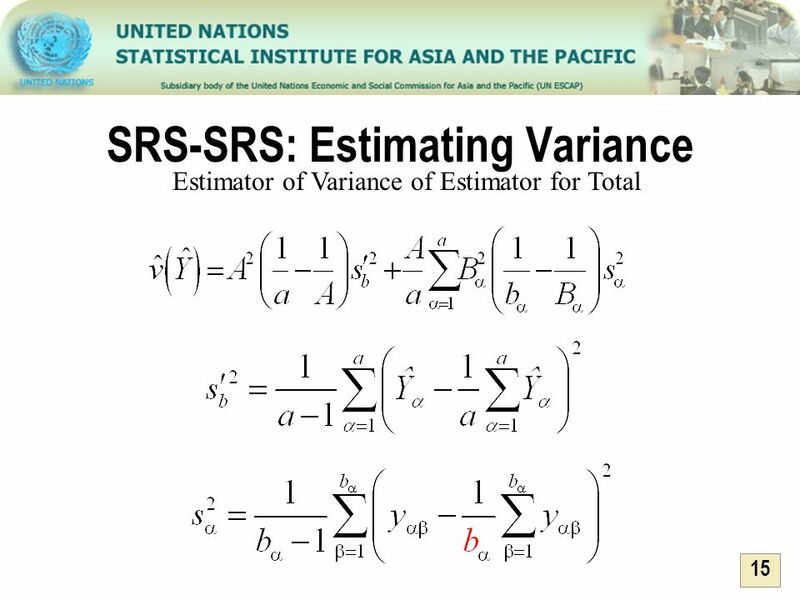 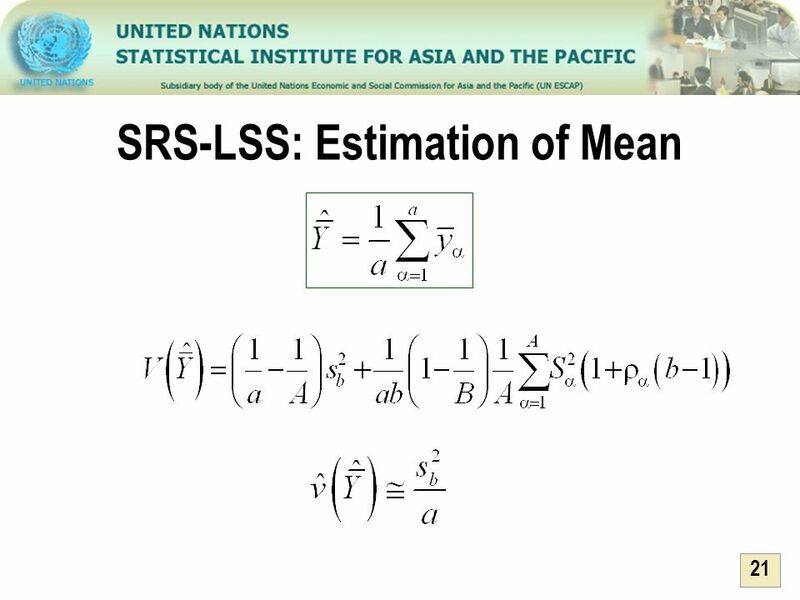 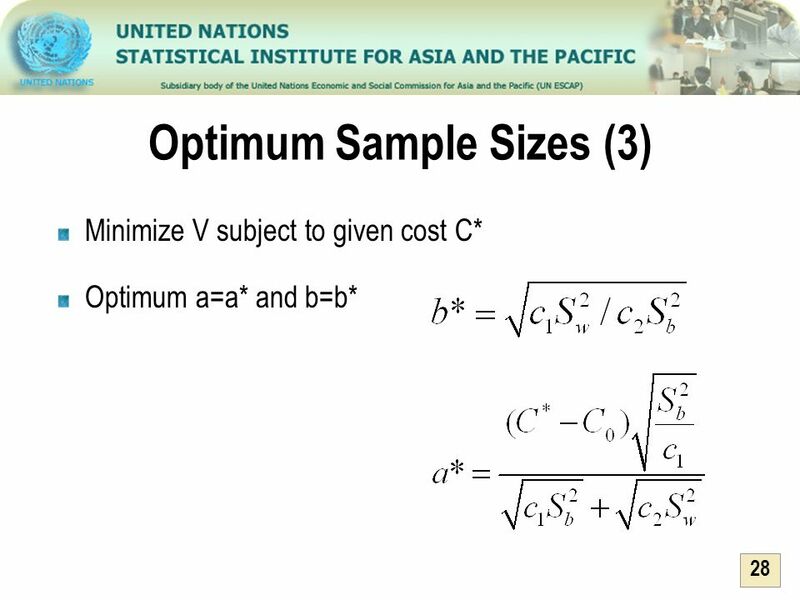 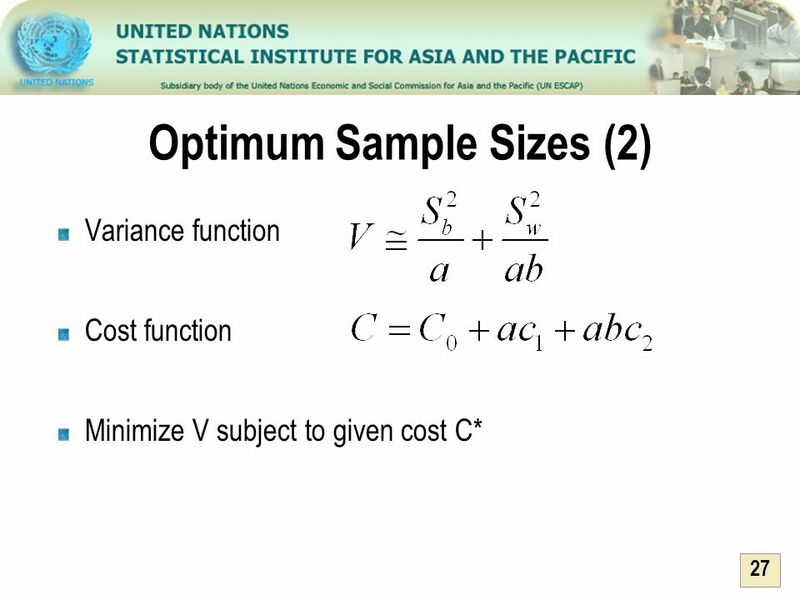 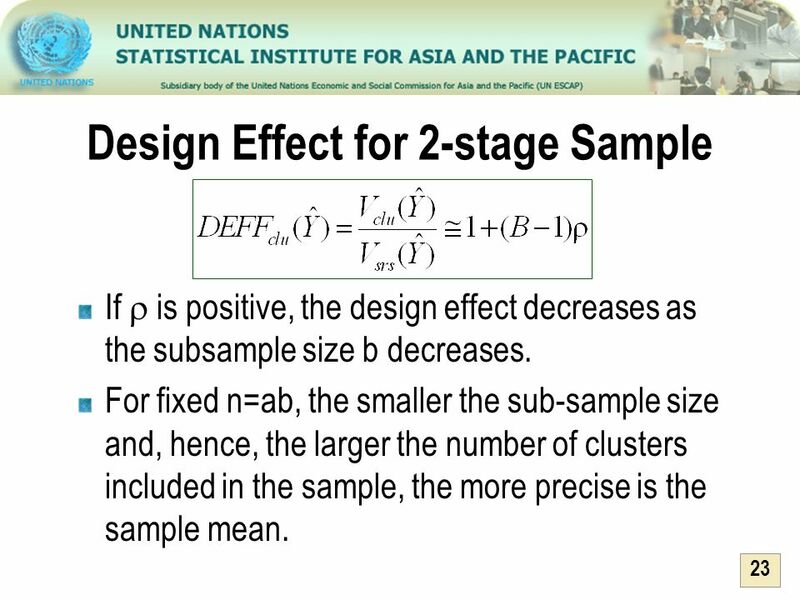 If  is positive, the design effect decreases as the subsample size b decreases. 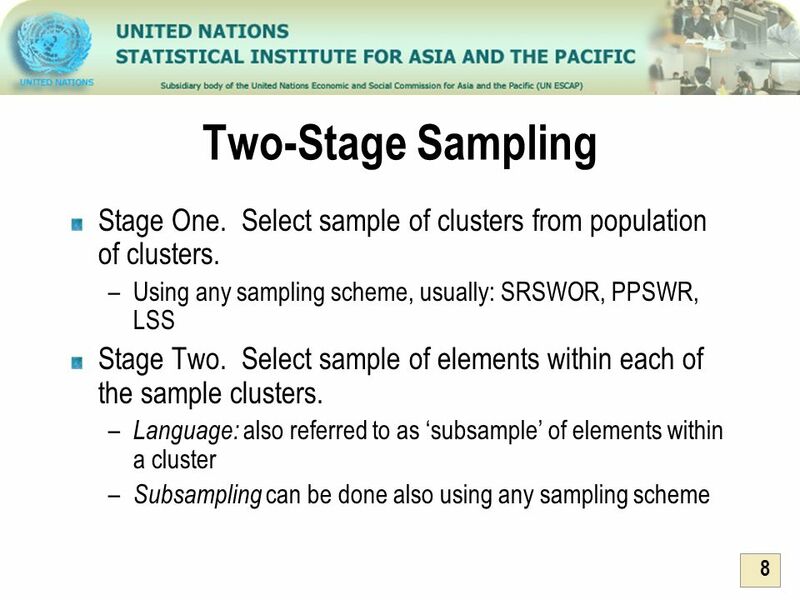 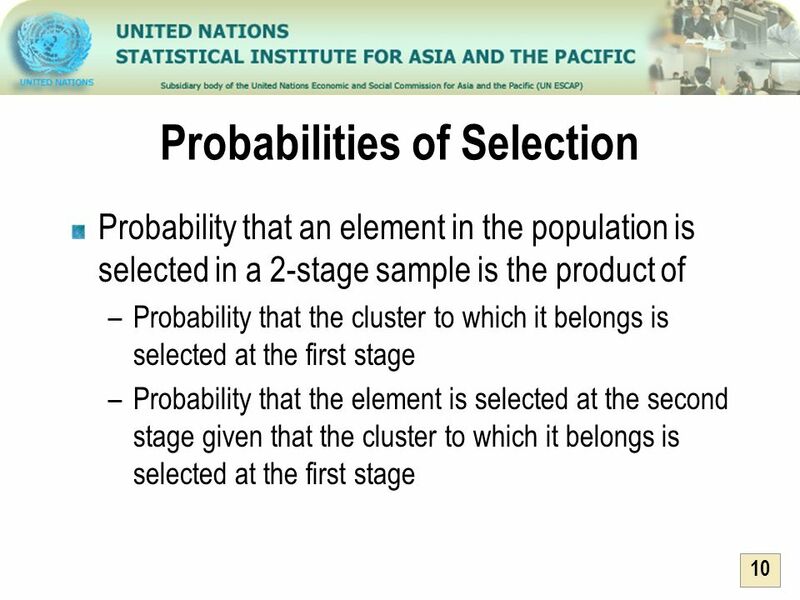 For fixed n=ab, the smaller the sub-sample size and, hence, the larger the number of clusters included in the sample, the more precise is the sample mean. 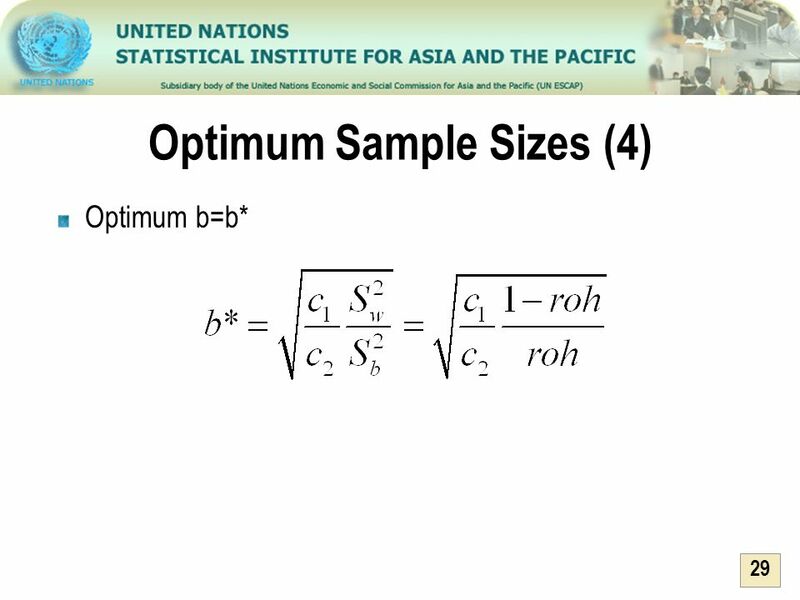 What overall precision is needed? 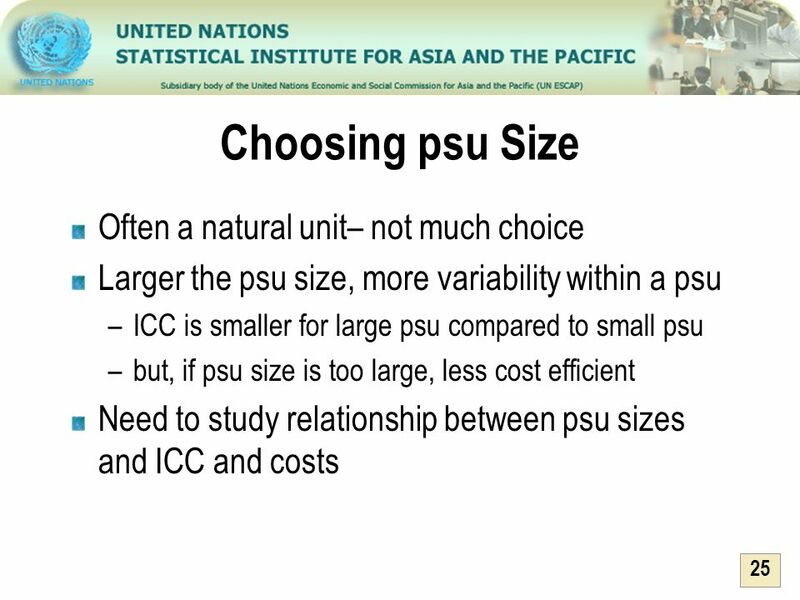 What size should the psus be? 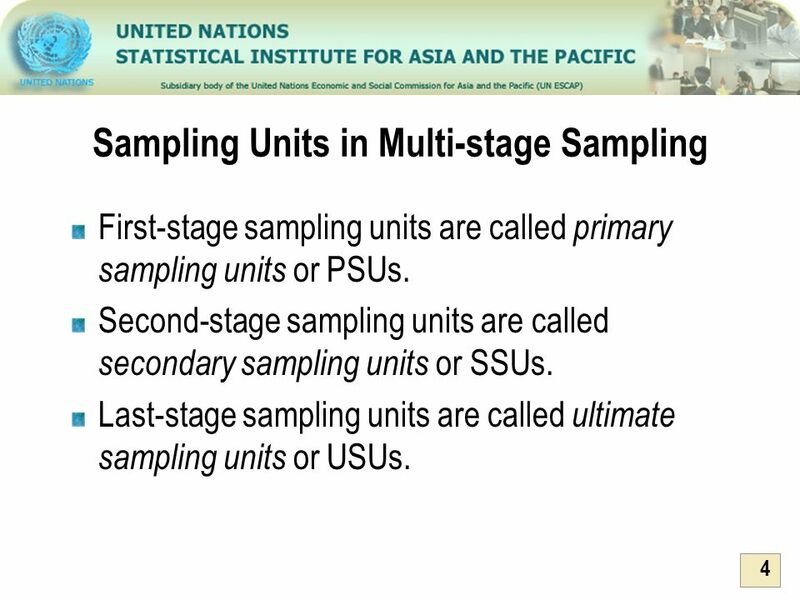 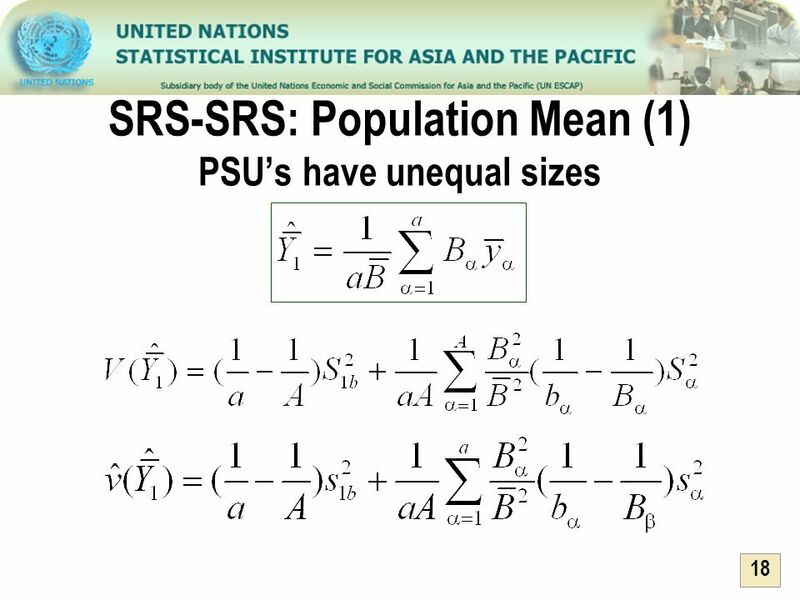 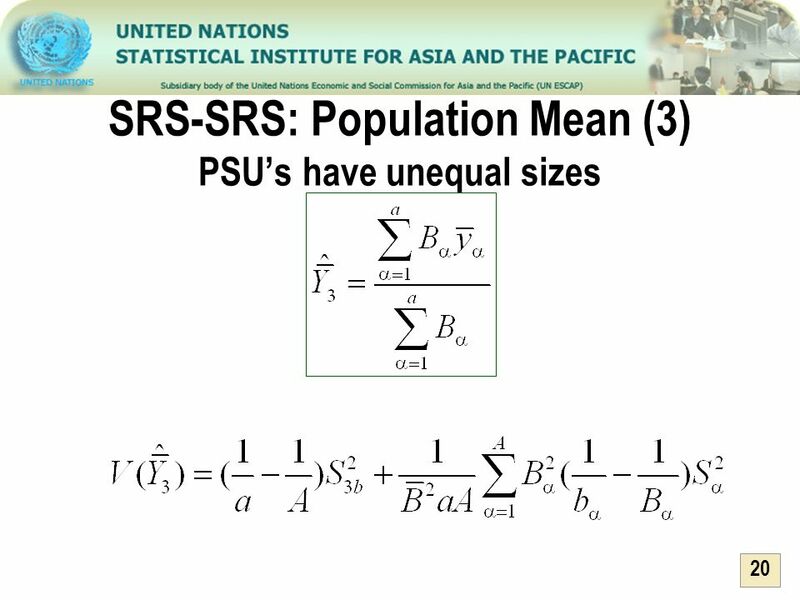 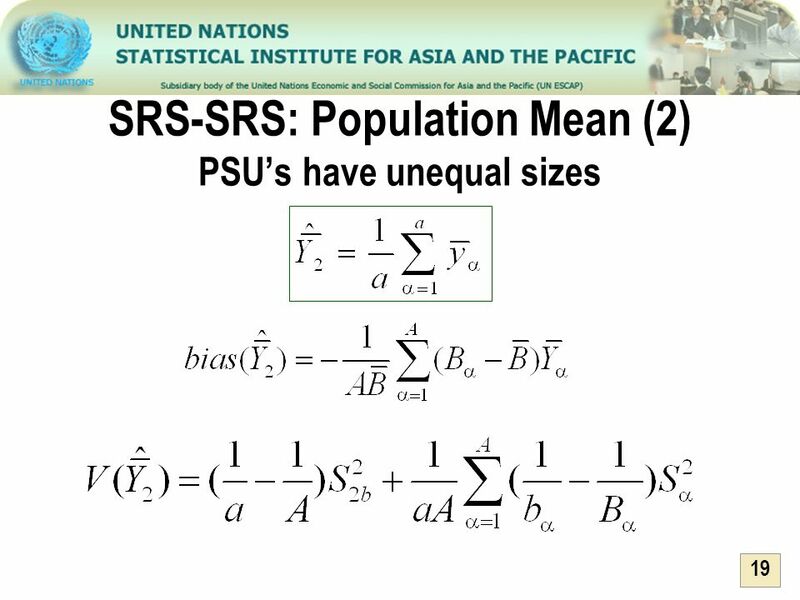 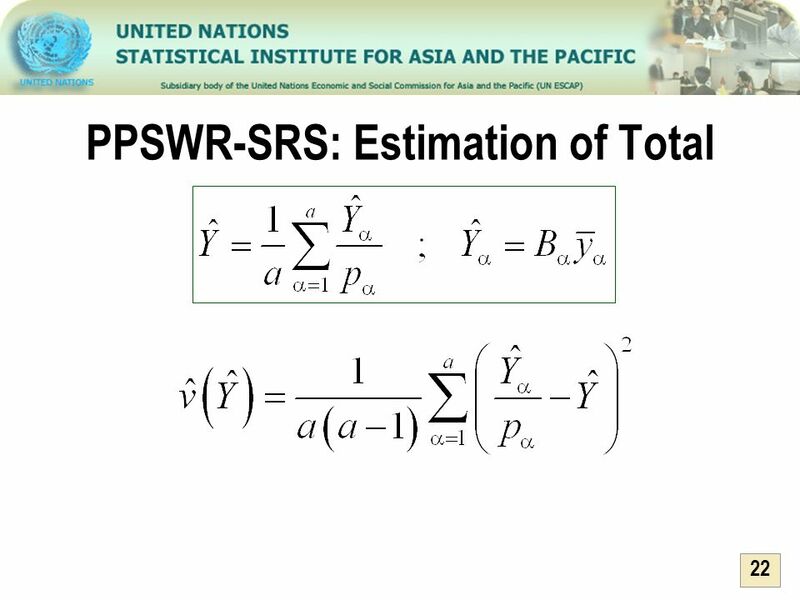 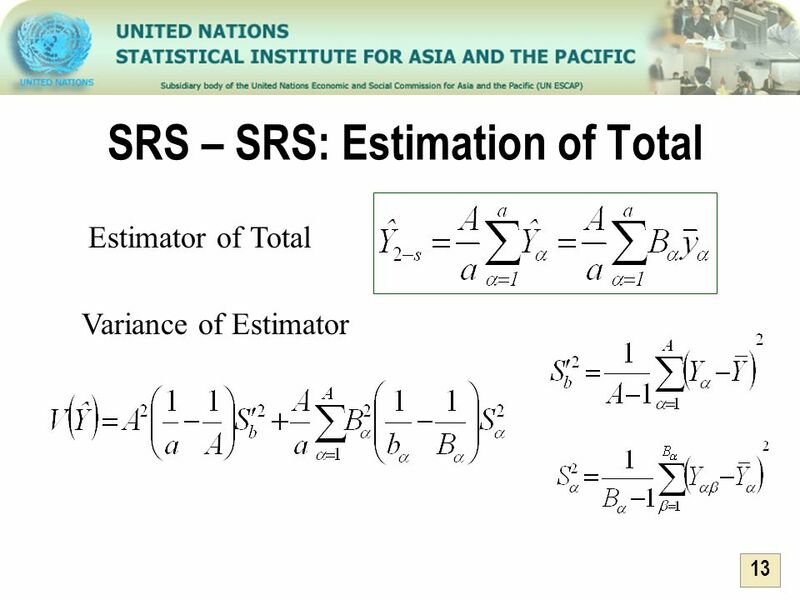 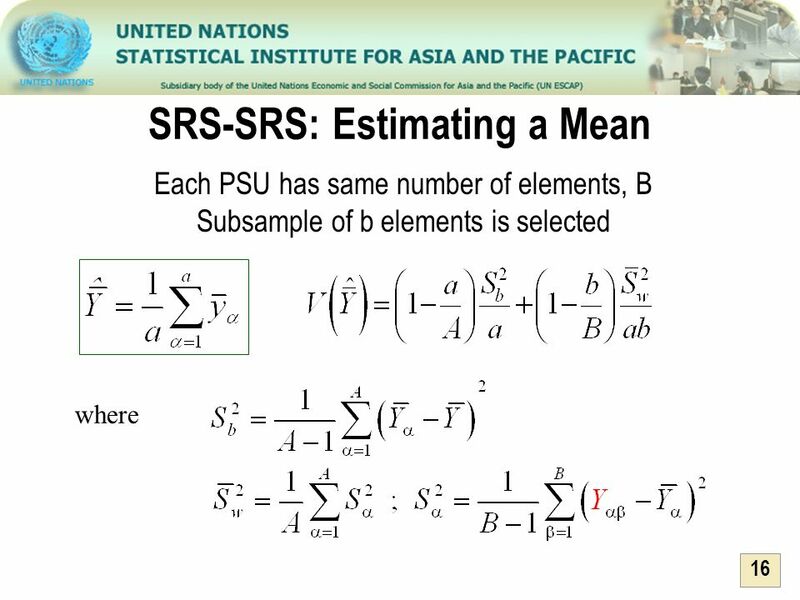 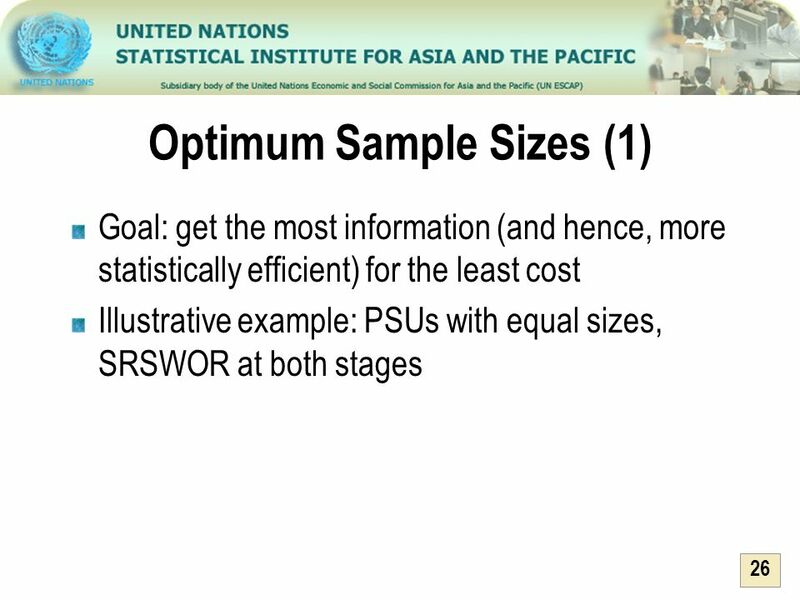 How many ssus should be sampled in each psu selected for the sample? 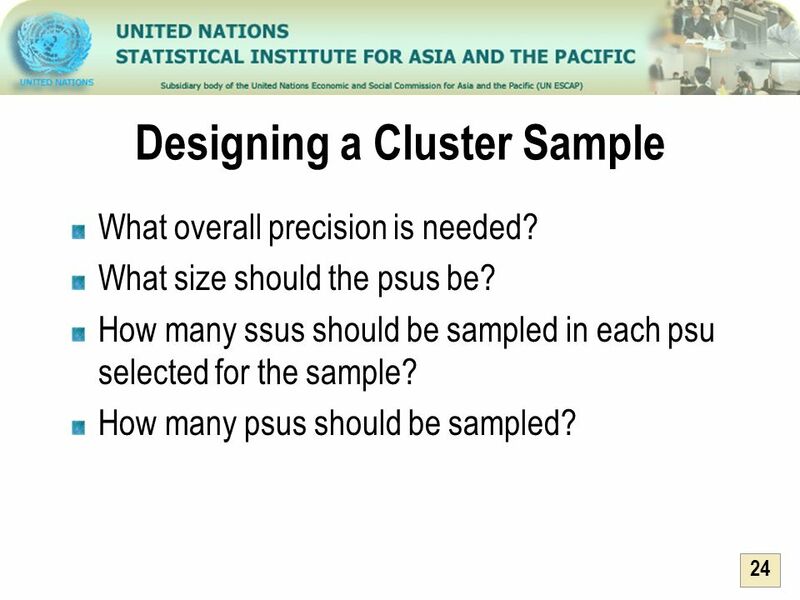 How many psus should be sampled?